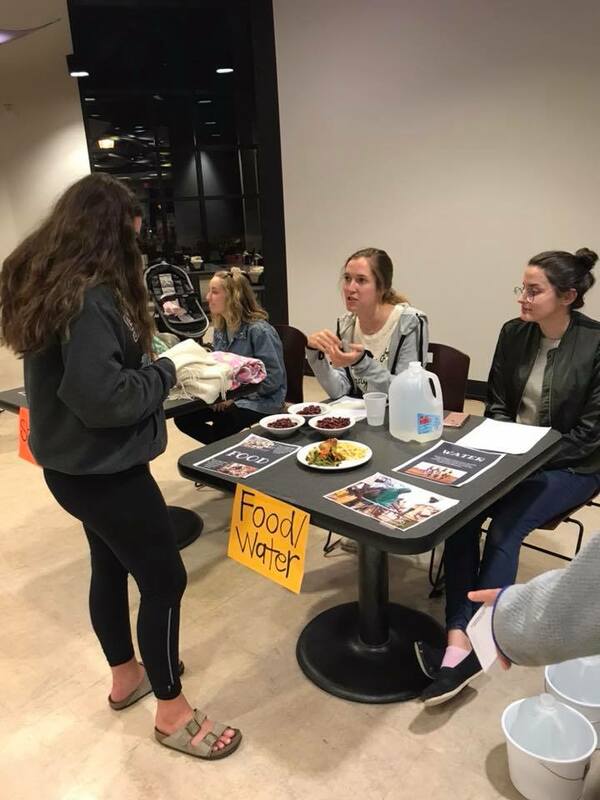 When Walsh Jesuit High School student, Chloe Gunther, saw a picture of a Syrian refugee drowning at sea in her freshman year, she was overcome with feelings of sadness and helplessness at the plight of the globally displaced. Gunther set out to find an organization that could help her learn more about displacement and advocate for global refugee rights, and eventually decided to organize a JRS Action Team on campus. “I chose JRS because it fit with the mission of our school and campus ministry. JRS allowed us stand in solidarity with people on the margins,” said Gunther. 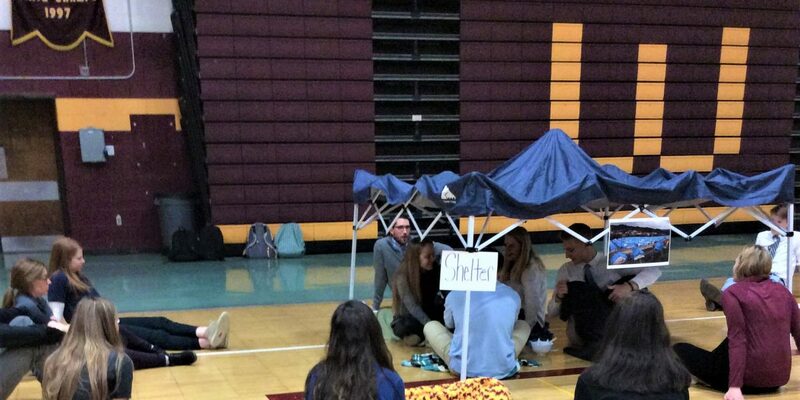 The Action Team began to raise awareness about refugees and the displaced within the Walsh Jesuit community. They started by participating in JRS’s Any Refugee campaign, which calls upon people of all ages to create postcards for refugee children in JRS schools around the world. Students wrote messages of hope and friendship on postcards that were then distributed to the children by JRS staff. The team also began to distribute resources to students to educate their community on the many faces of displacement. As they grew, the team hosted JRS’s Walk a Mile in My Shoes refugee simulations. They set up a physical representation of a shelter and allowed students to walk through stations representing different aspects of the refugee experience. The students could then compare their meals and water use to those of refugees. For a future simulation, they also connected with a Congolese refugee who will speak to students about her experience. This will provide an opportunity for students to get a glimpse into the trials of life as a refugee. For Gunther, starting the JRS Action Team has been extremely rewarding. Participating in advocacy work and letter writing both empowered her and made her more aware of the world outside of her doors, leading to an increased sense of empathy. For her community, the effect was similar. The JRS Action Team “humanized the issue a lot more which is a beautiful thing to see and it has been a great learning experience for our team as well. We try to break the bubble around our school and outside of our borders to show how we make an impact and help,” she said. 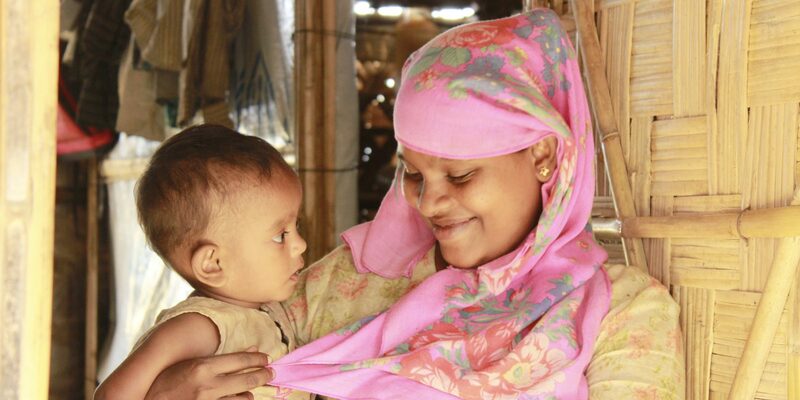 JRS works to support these Action Teams and community members who seek to make a change and support refugees around the world. “I would tell all Jesuit institutions to start an Action Team and get involved in any way. The Action Team reaffirms what it means to be men and women for others. It makes you more aware,” concluded Gunther.